Just a quick shout out (as the young people say these days) for Parkfield Miniatures of Buckinghamshire. I encountered this firm for the first time at Colours 2009 when I was looking for some 25-30mm size wagons suitable for the SYW period. I found just what I was looking for at half the price of some other wagons I had been looking at across the way. Needing some rider/driver figures to go with these wagons, I contacted Parkfield by email after the show. Not only did they readily agree to take some appropriate figures out of a couple of their other packs (significantly reducing the cost to me), but these arrived in the post within 48 hours. Frankly, I didn't want to do it. Blitzkrieg Commander at Newbury? No way, no day. I thought Colours 2007 would be my last job. But you don't say no to Big Dave (aka Kiwidave). 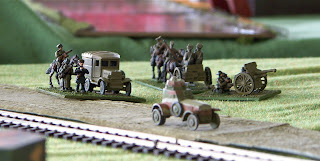 So I had to box up the armoured train again and get in the motor with Steve. Take plenty of photos, Dave said. I didn't say no. Three wargamers ready to go. Left to right: Rob, Dave, Steve. Rob is fairly happy in this shot. We don't know the guy behind Rob. He had a bigger table than us, he had more figures than us and the figures were bigger than ours. We ignored him. 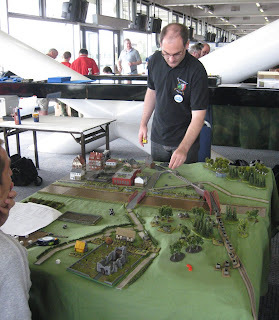 Below: Dave's Rhine crossing game. You don't need a big table to do nice terrain. Rob is happy. He thinks he is winning. He isn't. Below: Steve and Keith's Poland game. Check out the command stand with a deserter being shot. Nice! Polish CO looks on impotently. Above: a nice shot taken by someone else. Above: The second Poland game. The Poles are finding out why the scenario is called 'encirclement'. Nice 25mm ECW just across the way from us. Above and below. Really classy 15mm 100 years war demo at the Donnington Miniatures stand. Interesting game set in WW1. Above and below: this is the way to demo a refight of a real battle. Really informative and beautifully set up game of Naseby from the Pike and Shot Society. 28mm WW2. Not really my thing but quite striking. Only two disappointments during the day. The first was wasting £5 on the worst sausage and chips I've ever had. The second was Steve picking arguments about Flames of War with passing gamers. This is just one example. I didn't realise he was that kind of guy. If you want a full set of pics of everything that happened at Colours this year, check out this site. When Wargames Illustrated was taken over by Battlefront Miniatures there was a lot of negative reaction, which mainly boiled down to the concern that an independent wargames magazine was about to become the next White Dwarf: that is, just a house magazine for Flames of War. I freely admit I was one of those doubters. Issue 263 is the fourth issue to be published since the takeover, and the first I have actually bought. So how are things going? First, that cover picture. 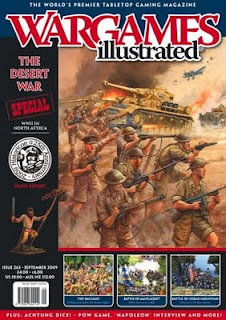 It is, of course, taken from the cover of the latest Flames of War supplement on the Western Desert, and constitutes blatant advertising for the owners. I think this is wrong as a cover concept. Battlefront are entitled to have as many adverts for their products inside the magazine as they think the readership will stand, but the cover should have something more general. Furthermore, the artwork itself is just plain awful. How Boy's Own can you get? I'm the first to admit I'm just an overgrown kid where toy soldiers are concerned, but this is taking the mickey. One is reminded of the worst of the nonsense contained in the Commando comics I used to read in the sixties. Inside, the articles make a bad start with a ten page piece on the Tobruk campaign lifted directly from the relevant Osprey title. Again, blatant advertising, this time under the camouflage of an article, reminding us that Osprey have a strong connection here (though I'm not sure exactly what it is - can anyone enlighten me?). Furthermore, regardless of the source, simply copying out chunks from a book (any book) and calling it an article is very tacky indeed. I have seen comments elsewhere that the review section is weak, and I would tend to agree. Only 4 pages devoted to reviews (there were 10 in the latest Battlegames, by contrast). Would this be a reluctance to give too much prominence to products from other companies? Taking a specific example, the review of the Rank and File rules was naturally of interest to me, but it had very little to say. Most fundamentally, the writer had obviously neither played the rules nor talked to anyone who had. The review also makes mistakes, such as saying that 'initiative is only used to determine who goes first in melee'. The writer also fails to place the rules in the context of already established sets in terms of complexity, mechanisms, realism and playability. Battlefront have opted for the themed approach to issues of the magazine, an approach I dislike. This is the main reason why I have not bought an issue so far (and why I have never bought an issue of Wargames, Soldiers and Strategy). The Western Desert theme was of interest to me on this occasion, but I much prefer to avoid this kind of thing. One has to assume it works as a marketing exercise, but it doesn't work for me. Variety is what I want. And on the subject of marketing exercises, I somehow doubt I will ever see an article on WW2 gaming in the new WI featuring a rule set other than Flames of War. 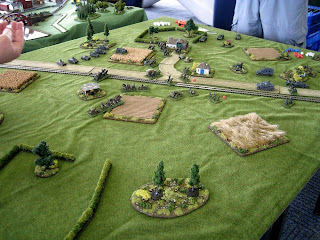 In my opinion it was Battlegames which showed up the real weakness of the old WI. The old magazine was all about pretty pictures, and readable content was limited and of poor quality. 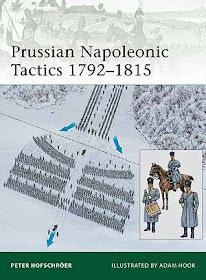 Most historical wargamers are out of their teens and twenties (a great number are middle aged like me), and tend to be bookish types. They want something to read and to stimulate their minds, a need which Battlegames crucially tapped into. WI seems to have taken the hint. There are 111 pages in the latest issue and it has to be said that the articles are generally well written and provide good reading. The two photo articles on the Bovington show and Historicon are well presented and provide some of the inspiration you would hope to get by being there. On the down side, the article on the ACW battle of Cedar Mountain repeats the old mistake of too much historical summary and too little on wargaming the battle, which after all the comments on this type of error over the decades is inexcusable. But I'm supposed to be on the pluses here, so I should say that overall there is a lot to read in the magazine, covering a good range of periods. This really is the main strength of the magazine, along with the good quality and generally well chosen photos and high production standards. Finally, at £4 the magazine is realistically priced.